Two-time defending men’s singles champion Ajay Jayaram is now just two matches away from winning the Dutch Open for the third time as the top seed booked his berth in the semi-finals of this Grand Prix tournament in Almere, Netherlands on Friday. The World No. 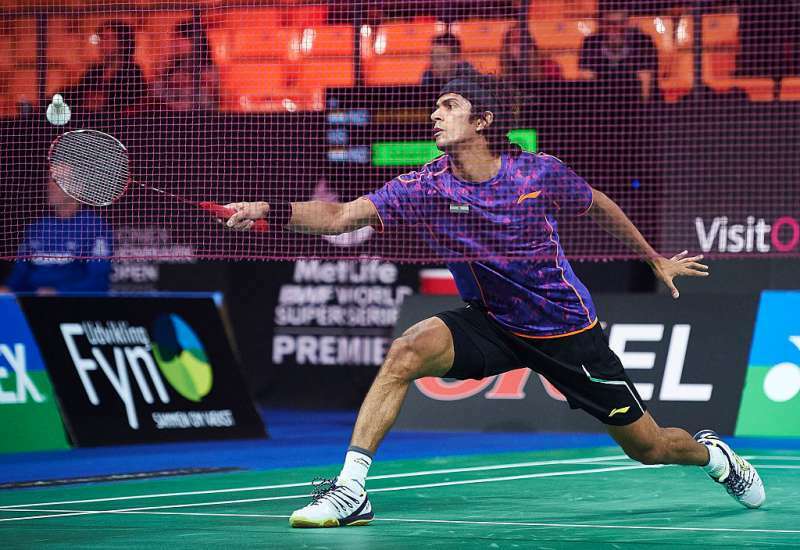 20 brushed aside the challenge of the 62nd ranked Ygor Coelho de Oliveira of Brazil for a 21-15, 21-18 win in the quarter-finals in 32 minutes. Jayaram was not the only Indian winning as the fourth-seeded mixed doubles pair of N Sikki Reddy and Pranaav Jerry Chopra too entered the semi-finals. However, the run of the other mixed doubles duo – Sumeeth Reddy and Meghana Jakkampudi came to an end in the quarter-finals. This was the first meeting between Jayaram and the 19-year-old Oliveira. The Indian did win in straight games but the eighth-seeded Brazilian too did put up quite a resistance. The initial exchanges of the first game were hard-fought and the two were tied at 7-7. Ajay broke away to take control of the game from thereon. He surged ahead to 11-8 at the mid-game interval and then returned to grab the first game, 21-15. Jayaram started the second game in the same fashion and raced ahead to 9-5. But Oliveira refused to be intimidated by the Indian’s progress. He levelled the game at 10-10 and even snatched the lead at 15-12. The top seed finally wrested away the momentum to equal at 16-16 and then regained the lead at 18-17 before clinching the win. Jayaram will next face the fifth seed Anders Antonsen of Denmark for a place in the final. In mixed doubles, Pranaav Jerry Chopra and N Sikki Reddy continue to shine. They have won their last two tournaments at the Brazil Grand Prix and the Russian Open Grand Prix and are now on an 11-match winning streak after emerging victorious in the Dutch Open quarter-finals on Friday. Chopra and Reddy will take on the unseeded Danish pair of Soren Gravholt and Maiken Fruergaard in the semi-finals. Luck, however, ran out for Sumeeth Reddy and Jakkampudi who were outplayed 7-21, 10-21 by the seventh seeds Marvin Emil Seidel and Birgit Michels of Germany. Dutch Open - Badminton Ajay Jayaram Sikki Reddy Sumeeth Reddy B Pranaav Jerry CHOPRA Meghana J.